Pest control advice for Sutton Coldfield residents. Now that we’re well and truly into winter the insects have by and large died off or hibernated, and the mice and rats have begun to seek warmth and shelter, and your house could well be a target. Try to spare a few minutes for a quick look around the outside of your house and garage. Any gap that you can put a pen through is large enough for a mouse to get in and should be filled in with filler or cement. Pay particular attention the rendering around pipes or cables, under door-steps, around drains, door frames, under doors, inside meter cupboards. Don’t just look at ground level either, because mice are very agile and excellent climbers. Garages are a common place for mice infestations as they are easily accessible and provide warmth and shelter. Garage doors invariably have a gap underneath, and the fitting of brush or rubber type strip along the base is usually enough to keep them out. If the garage is attached to the house don’t forget to check the dividing wall for holes, cables and pipes too. Mice can also enter your house from an adjoining property, usually under the floor or into the loft, into the wall cavity and then into your house. It would be virtually impossible to find every hole or gap between the properties, so it is advisable to give your home a thorough internal check too. Sutton Coldfield householders are also advised to check pipes and cables, boilers, airing cupboards, under the bath, toilets, and the base of walls particularly under kitchen cupboards, in fact any small hole you find should be plugged. Prevention is the best form of pest control of course but if you already have an infestation the mice should be dealt with before the proofing of any holes is carried out. This is because having established your home as their home too, they will go to extraordinary lengths to get back in and they will either breach where you have filled or will find another way in. Treating it yourself can sometimes be straightforward and baits that you can buy sometimes work, but mice can be very fickle, and a professional will not only have extensive knowledge of their feeding and behaviour patterns and the best places to bait, but also a winder range of more attractive and more palatable baits. Trapping usually has only limited success, as it is very random and may not eradicate the whole colony, and soon the infestation increases again. Many people think they just have a mouse but this is extremely rare as mice are very gregarious. Mice infestations vary considerably. They can occur in the cleanest of Sutton Coldfield households, and less hygienic ones can get away with it. I’ve come across many with mice, who have lived in a house for years without any previous problems so please don’t think it could never happen to you. By taking these few simple steps you will considerably reduce the chances of suffering an infestation. Ant Problems in Sutton Coldfield? No doubt many Sutton Coldfield residents are by now starting to see ants around the home. The ants you see above ground represent only about 3% of a colony so by far the best way to get rid of them is to find the nest. Spend a little time identifying where the ant trails are and place some ant bait as near as possible to them. I find the gel type poison baits work best, although other methods such as powders or sprays can sometimes work too. Once the ants have found the bait they will take the bait back to the nest and the whole colony will then feed on it. When deciding where to place the bait be mindful of the risks to children and pets so ensure that you read the precautions label first. Ants are often difficult to control, and complete eradication is hard to achieve so if you wish to have a go yourself you just have to keep plugging away and try to eliminate or cut down the infestation as best you can. Pest control companies are able to use a wider range of baits and insecticides, and of course their expertise too, and this should be an option to consider particularly if you are having difficulty controlling an infestation. Later in the year, the queen produces winged ants (commonly known as flying ants). Both male and females are created by the queen specifically for mating purposes. When the conditions are just right, usually on various days from mid July until the end of August and on humid or thundery afternoons when the air thermals are conducive to good flying, they leave the nest and take flight, mating on the wing (this can even happen occasionally at other times of the year inside a well heated home). When this happens, Sutton Coldfield residents are advised to open your windows to let some of them fly away, and treat the rest of them with a flying insect aerosol spray. Once mated all of the males die as do many of the females too, but some of the mated females (next year’s queens) survive and seek out places to hibernate in readiness for making a new nest the following year when the cycle begins once again. 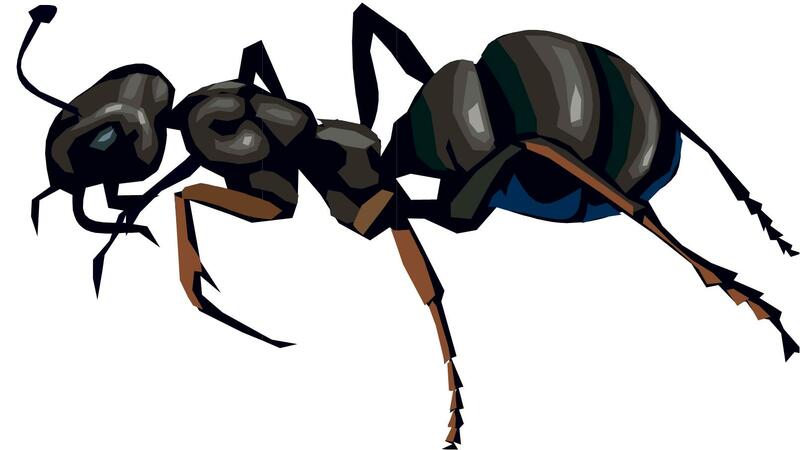 If you need any free advice regarding ants or any other pest species please give click here. 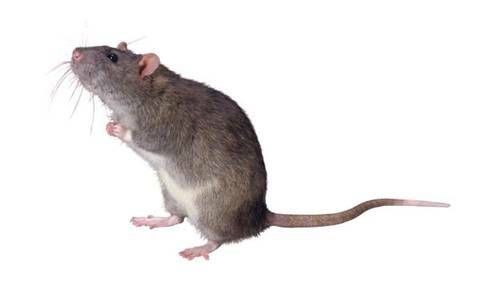 Complete Pest Management, Sutton Coldfield. I find that many people confuse bumblebees with honeybees. Species of Bumblebee come in various shapes, sizes and colours but are generally the large and round (ish) ‘furry’ ones, unlike honeybees which are the same size and shape of wasps. They do not produce honey as such, so unfortunately beekeepers are not interested in removing them. Bumblebees like honeybees, are diminishing in numbers and should be left alone if possible. Although they look rather intimidating, they are in fact quite placid and very rarely sting. They are also difficult to kill using the conventional methods, as their ‘fur’ protects them from the insecticide. A common place for them to nest is in garden rockeries or compost heaps, and if a customer decides that they cannot live with their presence I am able to dig out the nest and re-locate it in places such as Sutton Park , New Hall Valley , or Plantsbrook. If however they are nesting inside a wall cavity or under a floor (often using an air brick as the entrance) it is extremely difficult to deal with them. There are sometimes ways of getting round this though. I’ve had instances where they were nesting under the floorboards and accessing through an airbrick near to a door or window. A simple solution to this was to temporarily cover the air brick thus forcing them to use another air brick further round the house and away from the door/window. Another common place for bumblebees is underneath garden sheds and I had some last year that were flying in and out from under a shed right next to the children’s sandpit, and the householders were concerned that their kids may get stung. The simple solution of placing a plank along that side of the shed meant that the bees instead used the other side, well away from the children’s play area. If you wish to take any of these actions yourself, do not under any circumstances block the entrances of bees or wasps unless you are certain that they have an alternative way in or out. I’ve lost count of the number of cases I’ve come across where someone has blocked a hole thinking that bees inside will then die. Instead they will almost certainly find an alternative and very often one that leads to the inside of the house, and before they know it their house is full of very angry and desperate bees or wasps. With one such case I came across a couple of years ago, a lady had over a thousand bees inside her kitchen. Another reason to consider leaving bumblebees alone is that unlike wasps which are active until October, bumblebees are not around as long and have usually finished by mid to late August. If you would like any advice regarding bumblebees, honeybees, wasps or in fact any pests, please give me a call and I will be glad to help.